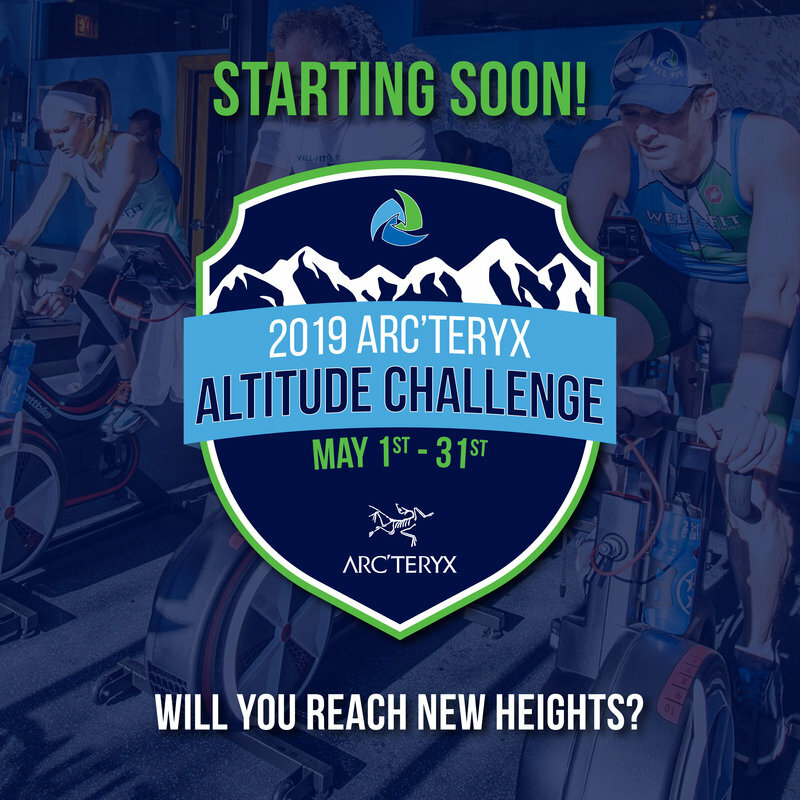 Well-Fit Performance is teaming up with Arc’teryx to bring you the first ever Altitude Challenge to help you “reach new heights” in your training and level of fitness this spring. Altitude training has been proven to show incredible results in a short period of time and offer a significant edge in competitions that otherwise would not attainable. Athletes can expect to improve their endurance by up to 35% and increase their sprinting ability by 25% in one month’s time. Daily workouts for cycling, running, hiking and climbing are posted in the altitude room to offer guidance and direction. Well-fit members have unlimited use of the altitude room and for everyone else who wants to participate in the challenge, there is a special rate punch cards available for purchase at the front desk. Bonus Minutes eligible by visiting Arc’teryx at 1630 N. Damen Ave. and tagging us on Instagram or Facebook. Tracking progress – a white board will be located outside of the room where each person will be able to record their points each day. This challenge is on the honor system. We are excited to help you “reach new heights” in your training this year! *There is a 2-hour time limit in the altitude room. **In case of a tie, winner be chosen from top finishers.